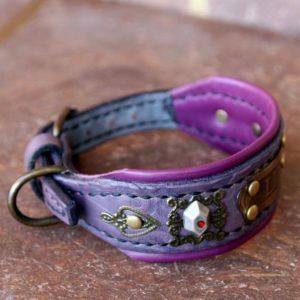 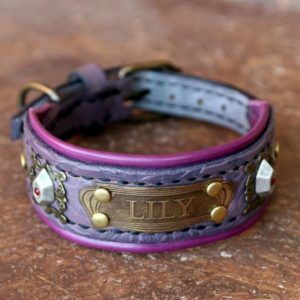 This cute leather dog collar with nameplate fits various extra small breeds – neck widths 8 to 10 in: Chihuahua, Chinese crested dog, Miniature pinscher, Yorkshire terrier, Italian greyhound, Pekingese, Maltese etc. 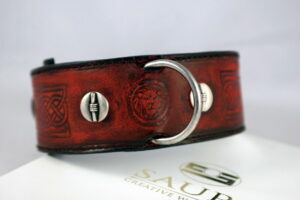 SKU: UC077 Categories: Featured, Leather Dog Collars Tags: Custom made, Dog walking, Greyhound collars, Ornamented, Personalized dog collars, Small dogs, Uniquely designed Brand: Workshop Sauri | Leather dog collars. 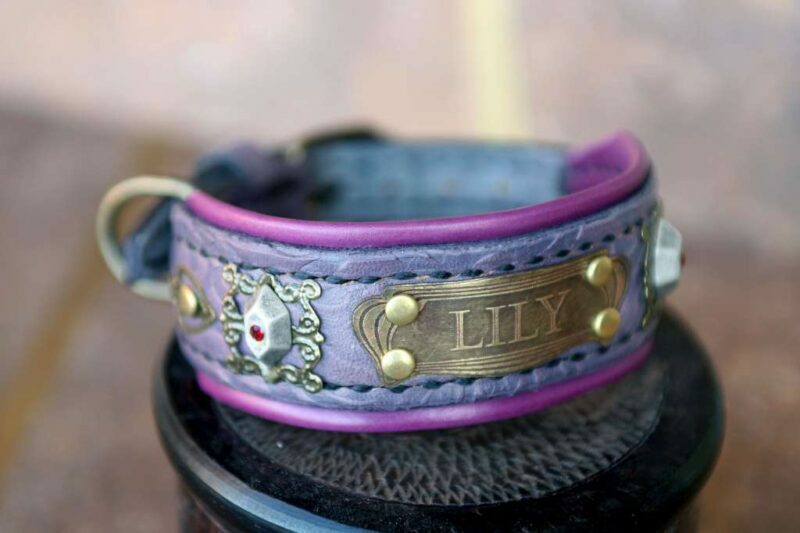 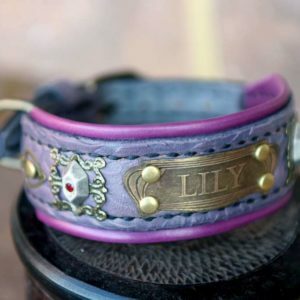 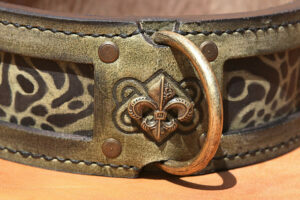 A heart of each personalized dog collar is the name plate. 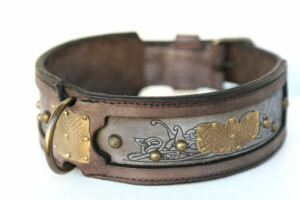 DAMARU extra small dog collar has one central nameplate. 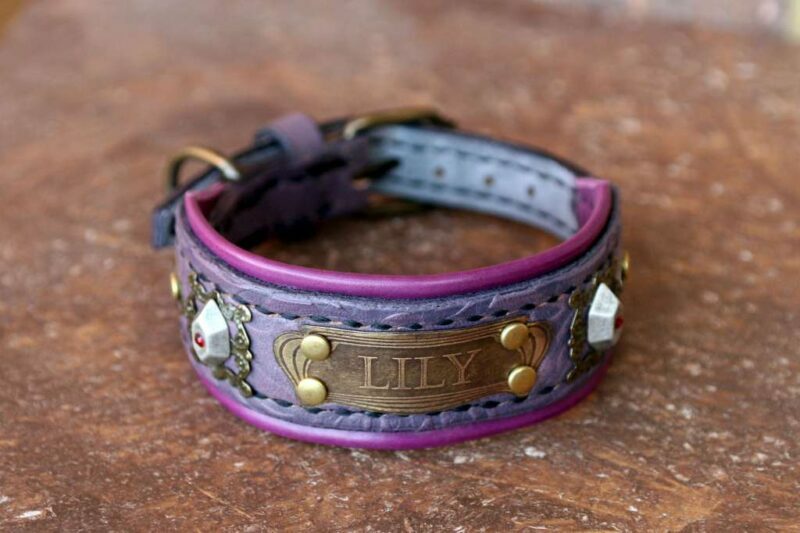 Let us know your dog’s name through order note during the checkout. 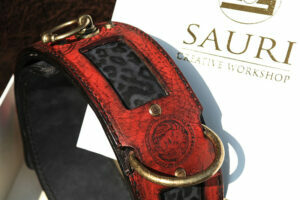 Workshop Sauri has special designs for its extra small and extra cute dog customers. 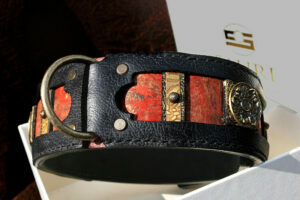 We can make DAMARU collar in different colors, since the size of the collar doesn’t leave much room for different ornaments. 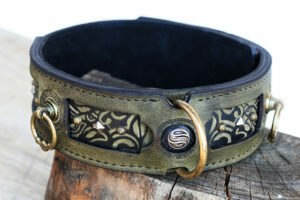 We choose brass filigree for decoration because it is delicate, beautiful and resilient as our tiniest furry friends. 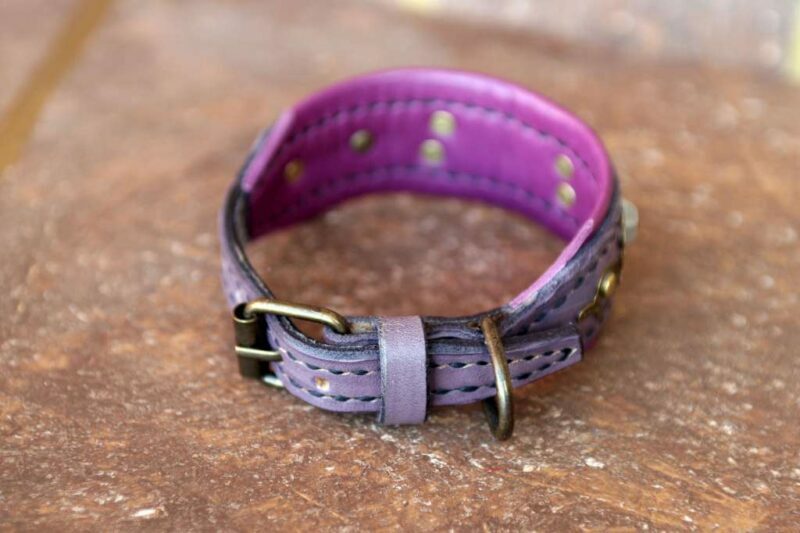 Customization is possible for color and collar length. 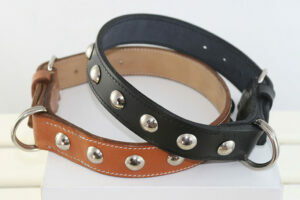 If you need this cute dog collar wider and longer, feel free to contact us. 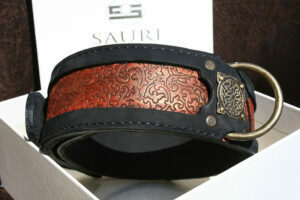 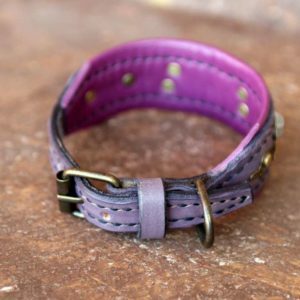 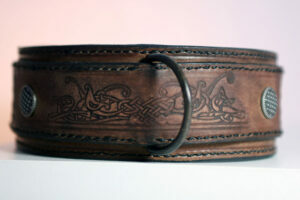 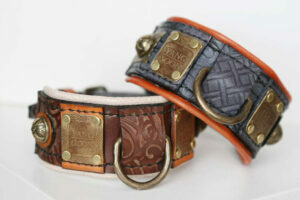 Sauri leather dog collars are compact – firm but not stiff. 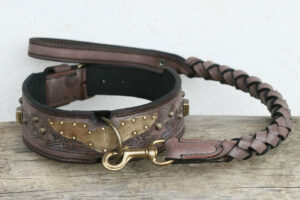 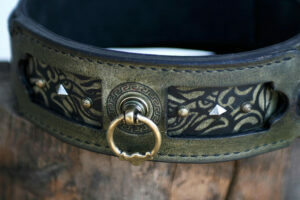 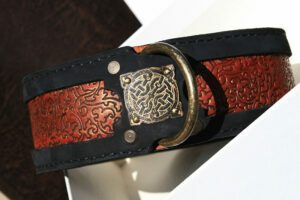 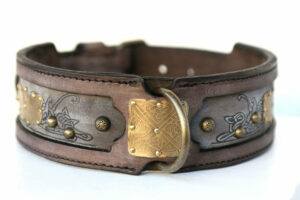 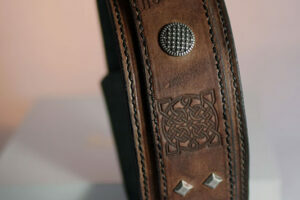 Leather edges were hand skived, polished and painted for more elegant look and suppler feel around the neck. 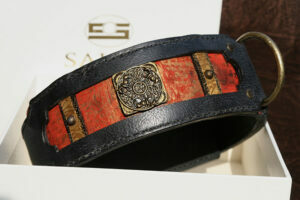 Although an extra small dog collar DAMARU has been stitched by hand. 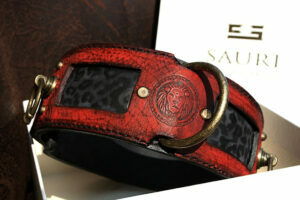 It will suit dogs with fine hair and/or sensitive skin. 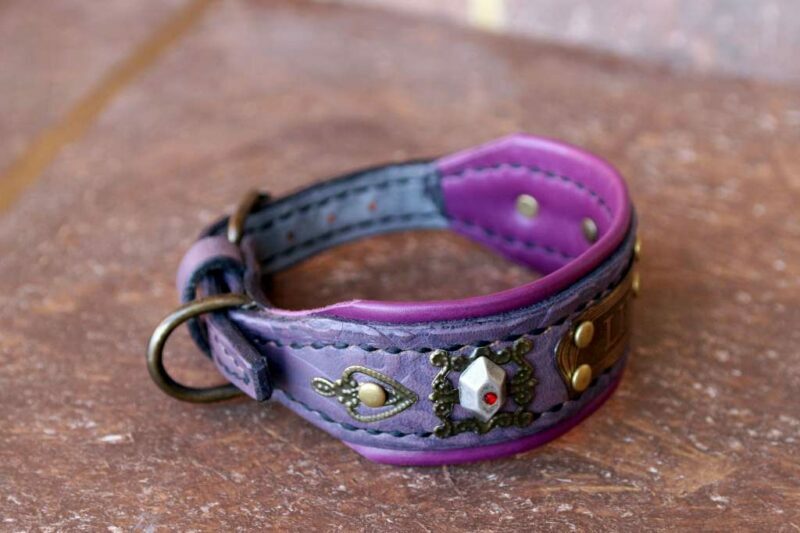 DAMARU cute extra small dog collar is unique leather product. 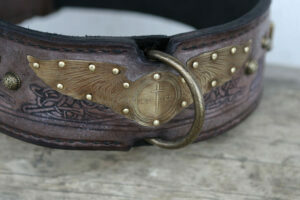 It means that we can only design a similar one once the one shown in the shop is out of stock. 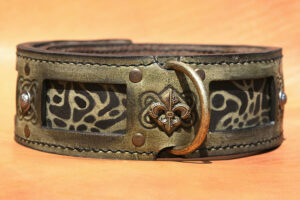 For regular care you should wipe off the collar from mud and similar dirt using a semi wet cloth or a soft brush. 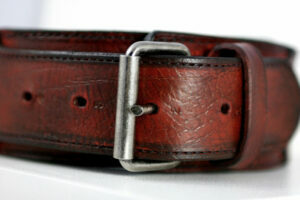 You can treat foreground leather with a leather protectant spray.